Essential Oil Kit – Why Do You Need One? Nowadays, several households rely on the natural healing powers of essential oils to address common health problems at home for a safe yet effective approach. Hence, essential oil kits have replaced the typical first aid kit. But what exactly is in an essential oil kit? And why is it so important to have one at your home? What is an Essential Oil Kit? 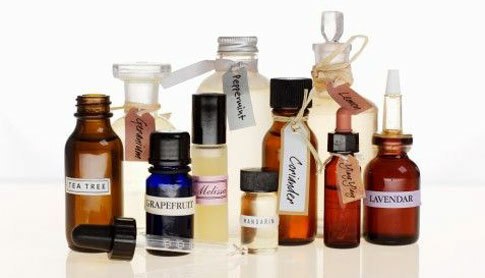 Aromatherapy is an ancient art of healing that utilizes essential oils as its main tool for curing diseases. Essential oils, on the other hand, are extracted from certain plants or botanical sources that are identified to contain medicinal properties that bring about healing when used on the body. There are only three factors that affect the effectiveness of using essential oils for curing diseases: quality of the essential oil, using the right type of essential oil, and using the right method of application. Once you have kept all of the above points in mind, your next step would be to prepare an essential oil kit to store at home. This will ensure that you have all the items you need accessible in any case you need them for emergency medical purposes. Plus, it is an inexpensive alternative approach to modern medicine instead of purchasing costly medicines that contain risks of certain side effects. Just like a regular first aid kit, you need to stock up on the right items for your essential oil kit to ensure that you have all the items you need. You can purchase any of the aromatherapy accessories currently available in various specialized stores or shops. But there are only three basic items that are specially important to have in your kit. These three items include the following: diffuser, aromatherapy decoder, and basic essential oils (to ensure that you have one available for any type of disease or condition). This item is used for dispersing the aroma from the essential oil into the air, making it easier to breathe into and enter into your bloodstream to produce the corresponding effect on your body. Several aromatherapy experts believe that the process of turning essential oils into vapor is one of the most effective methods of aromatherapy application since it is easily absorbed by your body and act on the affected organ systems. You can find several types of essential oil diffusers in the market today and you can choose based on price, durability, and ease of use. Some of the most common choices for essential oil diffusers are aromatherapy candles, tea light, electric diffusers, and nebulizers. This serves as a handy guide that the user can read to find out about which essential oils to use for a particular condition. This is ideal for beginners or individuals that are not well versed in aromatherapy. With this useful guide, you can prevent the possibility of causing further complications by using the wrong essential oil and causing harmful reactions. Last, and certainly not the least important, item to store in your essential oil kit are the essential oils themselves. Since there are literally hundreds to choose from, some of you might ask, ‘do I need to store them all?’ Given that essential oils can be quite expensive to buy, you have to go for versatile essential oils or the ones that can be used for multiple applications. These include the following: lavender, eucalyptus, rosemary, and mostly citrus essential oils. The more essential oils you could stock up, the better.